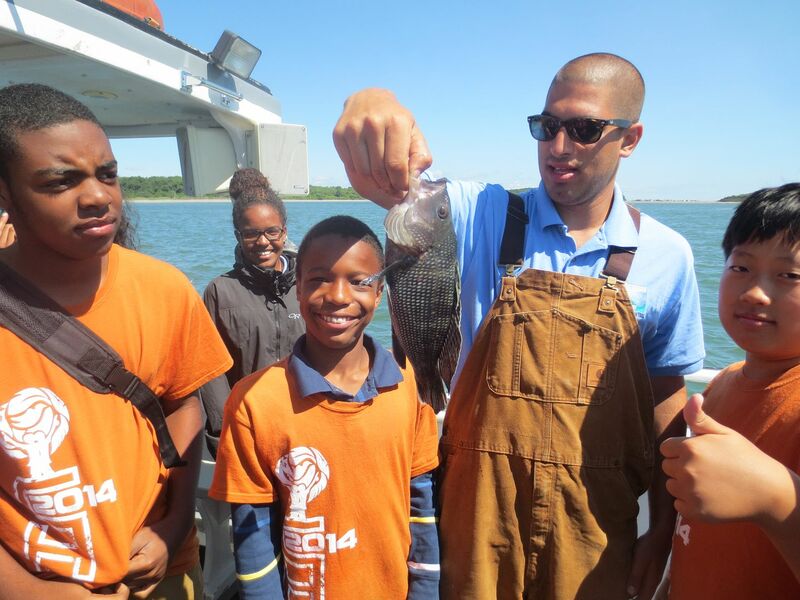 Today the team and I took the kids from the Camp Harbor View fishing club on the annual fishing trip. This year we had about twelve kids who got the chance to take a boat out onto the harbor to fish for a bunch of different types of fish. It's a real step up from being on the dock all day. Each kid took a rod and were already familiar with fishing which was really cool! They were casting and catching fish immediately. Fish were flying every where. Some on hooks, some on the boats floor. We did have to throw a few back but every kid caught a fish at least twice! Of course some more than others, but everyone did have a good time and that is what matters. I even caught two fish to add to the huge collection of fish. Every kid left with a smile and had an awesome time. That is really what made me happy and I'd love to take them out another time on a fishing trip, they were a pretty cool group of kids.